When most people think about lasers, they think about something that is more science fiction than science fact. When you begin to do your research, however, you quickly realize that lasers have been used in industry, science and medicine for many years. As a matter of fact, it is likely that you have many items in your home that either make use of lasers directly or were manufactured more accurately as a result of lasers usage. What are some of the laser tools that are commonly used and how have they shaped our lives since the development of the laser? One of the common ways that lasers are used is in industrial and commercial areas. For example, laser cutting is often used because they are able to cut more accurately and more neatly than other types of cutting tools. They can be used in a similar manner to drill through various types of materials or to mark materials for cutting and measuring applications. Lasers have also been used to measure a variety of different items in almost all types of industries, providing a more accurate measurement which helps to manufacture items more quickly and in a more cost-effective manner. Another way that lasers are commonly used is in land surveying. Laser tools are able to measure over long distances and it has helped to increase the accuracy that is available through surveying as well as helping to save time. Although some of the standard surveying tools, such as the metal chain are still used in order to measure distances, it is quickly becoming more and more obsolete. Today, surveyors also make use of GPS systems along with laser tools to help provide an accurate measurement for their clients. 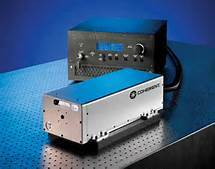 The scientific use of diode lasers and other laser applications is also seen in wide use. Just as distances are measured in industrial terms, you can also use lasers for that application over extremely long distances. For example, mirrors were placed on the moon during some of the moon missions, providing an accurate measurement to that distant object. Science also is able to measure very small distances by use of the laser, something that has helped to expand our knowledge of the world around us. Of course, science also makes use of lasers in many other ways as well, including cutting, drilling and bonding. One other group of individuals that has benefited greatly from the use of lasers is the medical community. Who of us has not heard of laser eye surgery? The surgery that is available can help us to see much more clearly and it has a higher degree of accuracy than some of the older methods that are available. Lasers are also used for other types of surgery in order to provide accuracy and a faster healing time. Other ways in which lasers have been used by the medical community include laser hair removal and other types of cosmetic surgery, including the removal of tattoos. Soft tissue surgery has also benefited greatly from the use of lasers. There is no doubt that continued use of lasers is going to benefit us even more in the future.